Learn the basic tenants of the Ashtanga Vinyāsa Yoga method in addition to the Mysore style of practice. Who is this retreat geared towards: The workshop sections of this retreat is tailored made for the male practitioner. Especially for the new beginner or beginners with some Ashtanga experience, or if you have a basic level of experience in other styles of yoga. This retreat is also for the male athlete that always wanted to try yoga, but for one reason or another, never got around to doing so. Or maybe your partner is already practicing yoga and can’t shut up about it? Here is your chance to see for yourself what the fuss is about. A part from looking at the obstacles, we will of course delve inside the postive and transformative attributes of the Ashtanga yoga method. Centered around connecting conscious movement with conscious breath, cultivating the inherent, meditative qualities of the practice. Starting with the Three Points of Attention: posture, breathing, and gaze, otherwise known as Tristhānam. We will learn how to unite all three elements in which the practice starts to flow effortlessly, and feelings of lightness, fluidity and strength arise. Participants will first and foremost learn the importance of breathing as the gateway to a healthier, more energized relationship with the body, as the mind begins to calm and center. The practice on the outside looks to be dynamic and challenging, however, it is a powerful tool for inward exploration. In other words, the practice assists those who want to explorer living a more heart-centered, conscious life, allowing one to feel more alive and focused in daily activities. and safely with proper skill. This method of practice can at first feel intimidating, however throughout this retreat we would like to dispel those myths for it is a time-honored tradition of practice that is for people of all levels of experience, all ages and backgrounds. No one is excluded. Everyone can learn this practice, and the Mysore experience allows students to learn each posture with the careful guidance of a qualified teacher, step by step, building upon conscious awareness and internal alignment. Benefits of this practice include: Increased strength, flexibility, balance, improved digestion, improved sleep, increased energy levels, improved posture, greater well-being, increased health, a calm mind and beyond. All that is needed for this retreat is an open mind and a willingness to learn! David’s first contact with yoga was back in 1993 when exploring ways to find alternative forms of healing when western medicine and physical therapy failed to heal a foot injury. A spiritual seeker from his teens, he decided to try out Hatha yoga. Right away, David felt the deep benefits of asana and meditation practice. Miraculously, yoga healed him physically, however what blew David away the most, was the deep, sustaining well-being, that in turn, wasn’t fleeting, like other sensory pursuits. Yoga gave a greater sense of clarity, calmness and internal focus more than anything he had previously experienced. Here David’s yoga journey began. In time David moved to Los Angeles to study music. There one of his vocal coaches approached him in regards to trying out a yoga class with Catherine McNamara. David was game, and it took no time for him to start practicing once again. Thus, began his second phase of asana practice, which was on and off for him through the years, however his meditation practice continued as a daily practice the entire time. Early 2006, David took his first Ashtanga Yoga class from Gittan Hendele, at Ashtanga Yoga Stockholm. And he is happy to say from that point on, he haven’t stopped. When David embarked on his first trip to Mysore, India, in February 2008, practicing with the late Sri K. Pattabhi Jois and R. Sharath Jois, he delved even deeper into the practice, and fully committed himself to the method. Ever since, David has been back to India every year to continue his practice and study. In January 2011 he had the honor of receiving his Level 1 Authorization to teach from his teacher, R. Sharath Jois. In Sweden David teaches and assist alongside his teacher, Laruga Glaser. When Laruga travels around the world to teach workshops and retreats, David is the one that the runs and oversees her Mysore program at Yogayama Östermalm, in Stockholm. For him it’s a great honor to help hold a space for students from all walks of life were they can explore who they are and grow as human beings with the help of this dynamic practice. David feels blessed to continue the lineage of Ashtanga Yoga in the tradition of Sri K. Pattabhi Jois and R. Sharath Jois. He invites all of you who feel inspired by this practice to walk this path alongside him. Sometimes it is a source of real joy to land on an island a little ‘out of the world where to immerse yourself in your favorite sport in a crystalline sea. Frassanito is not an island but a small jewel nestled between the sand dunes and pristine pine forest is a natural oasis away from the hype and traffic. 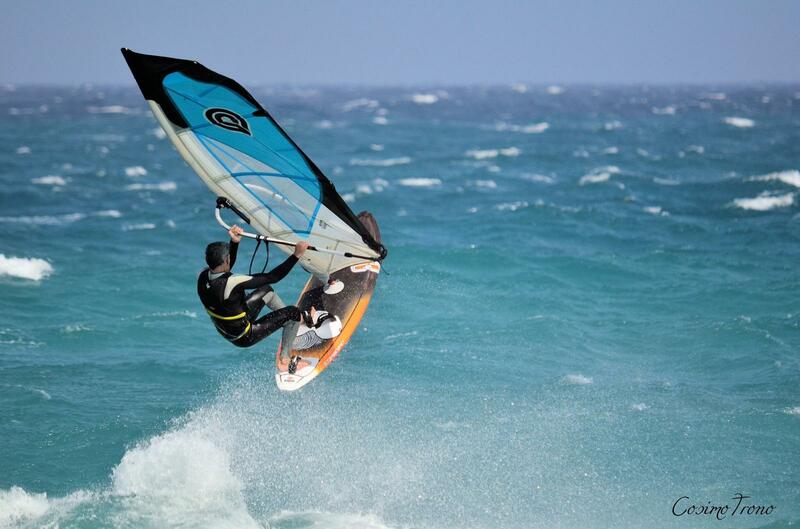 Frassanitosurfpoint is an association dedicated to windsurfing and kite surfing. It is the beating heart of a sport where every water sports enthusiast finds fulfillment and regenerates with the magic and charm of this truly unique place. The guarantor and owner of Frassanitosurfpoint are Mimmo Greco, one of the first to practice windsurfing in Salento. The center has an innovative range of boards and sails available for rent, carefully selected for beginners and able to stimulate the appetite of more experienced surfers. Their strength is the courses taught by professional instructors for both beginners and advanced.